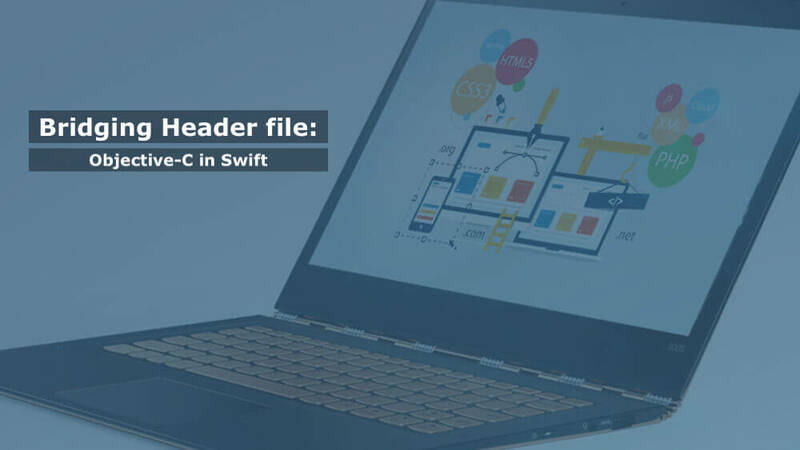 The Bridging Header file is the main concept about use a Objective-C programming code in Swift project. It's one type of bridge between Objective-C andÂ Swift programming language. You need to know that Apple provides us Bridging-Header file concept for it. It's one type of file with extension .h. Apple provides one type of bridge file between Objective-C code & Swift code. Its main functionality is method or variable which is accessible in Objective-C should appear in Swift project. Here is some step you need to follow creating Bridging-Header file. 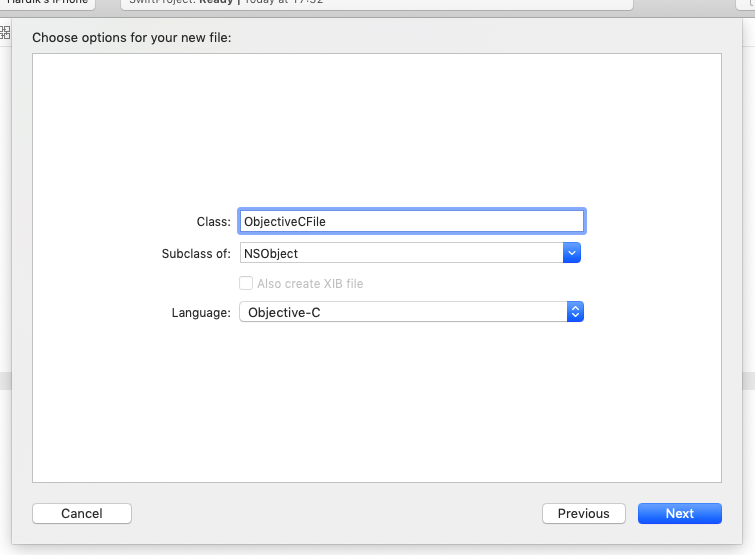 You can create this file at any stage of the project before importing any type of Objective-C file. Now choose Cocoa Touch Class & click Next button. Now, click on Next button. You will see the following popup in screen. 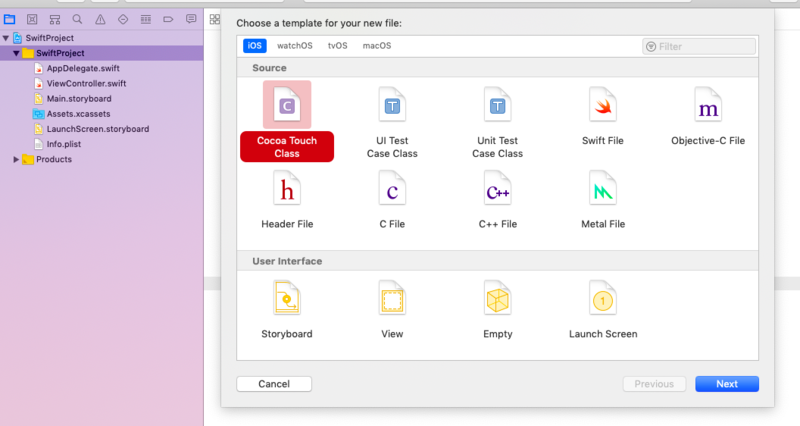 Please click "Create Bridging Header" button which creates file in Swift project. If you don't see this dialouge. Don't worry about it! You guys need to set manual path for your Bridging-Header file via Target -> Project Name -> Build Settings -> Objective-C Bridging Header. Create "PROJECTNAME-Bridging-Header.h" file & give path here and check below referance photo. Thoes who has Bridging-Header popup; Xcode will automatic generate .h file and set path in Build Settings. You can check via above path. it's automatically set but, if not than you have to make manually set there. 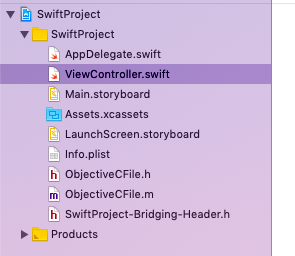 Now, we have Objective-C file in Swift project and in addition we have now Bridging-Header file. //  Created by Hardik Trivedi on 26/11/18. 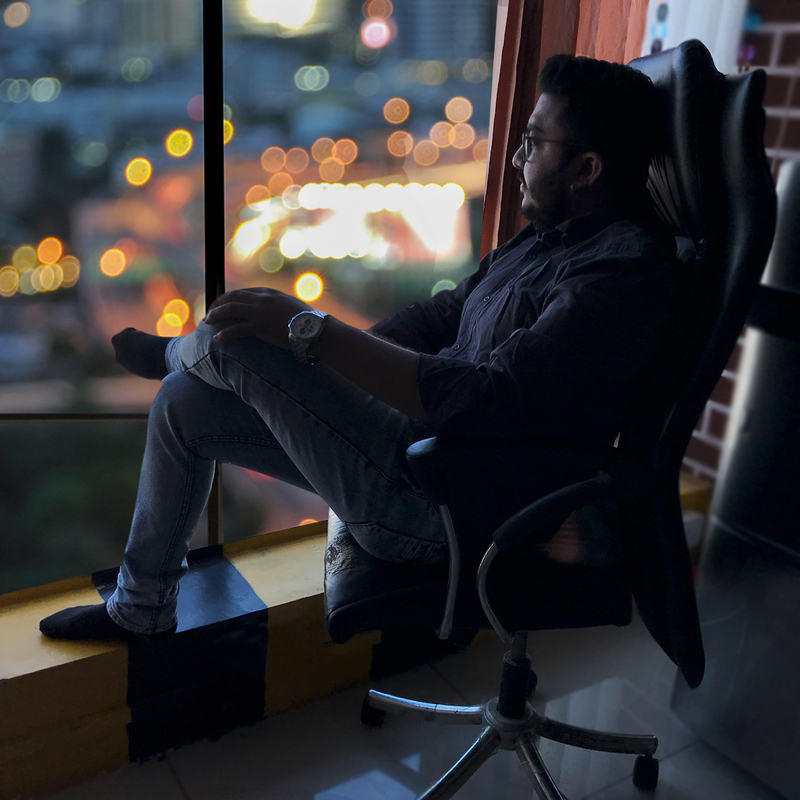 //  Copyright © 2018 iHardikTrivedi. All rights reserved. Now build and run project. You can build with (Cmd + B) and run with (Cmd + R). See your output in below panel which is called LOG part. Yeah!, It's Swift Function & Objective-C Function both called from Swift project. Now you can access any Objective-C code with Bridging-Header.h file. iOS Developer can access Objective-C code in Swift project using "Bridging-Header.h" file concept. 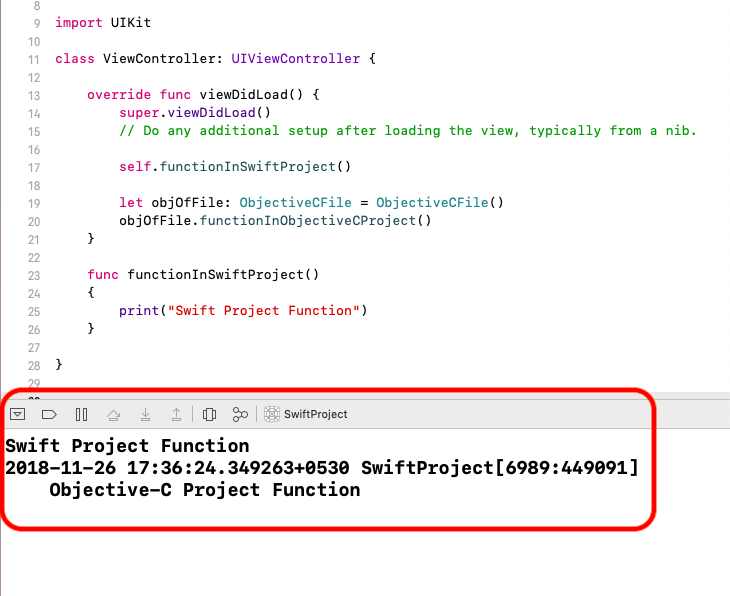 You can easily access Objective-C code in Swift project. If you have any query regarding this blog comment below. If you have any idea or query about iOS Applicaiton Developement / Apple Watch Application / iMessage Extension / iOS Widgets Contact Us, we have expert iOS people in our company.